Wichita computer repair and IT services. Offering the lowest prices on laptops, desktop computers and tablets. With years of experience in computer sales and IT service, our mission is to get a computer into every house hold in Wichita by offering the cheapest prices on laptops, tablets and desktops in the city. 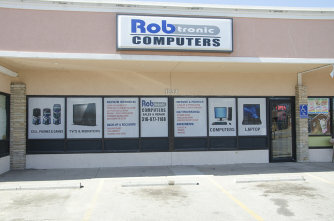 Along with our low prices, we also offer reliable computer repair services at rock bottom prices by our skilled technicians. We offer FREE diagnostic services. Looking for a computer upgrade? We carry a wide selection of graphics cards, memory, speakers, web cams, flash drives, mice, keyboards and more. Please visit our website for a complete product selection.